Our younger daughter and her family were returning to Geneva, Switzerland the next day and we were going to dinner at the Hudson House Inn in Cold Spring. 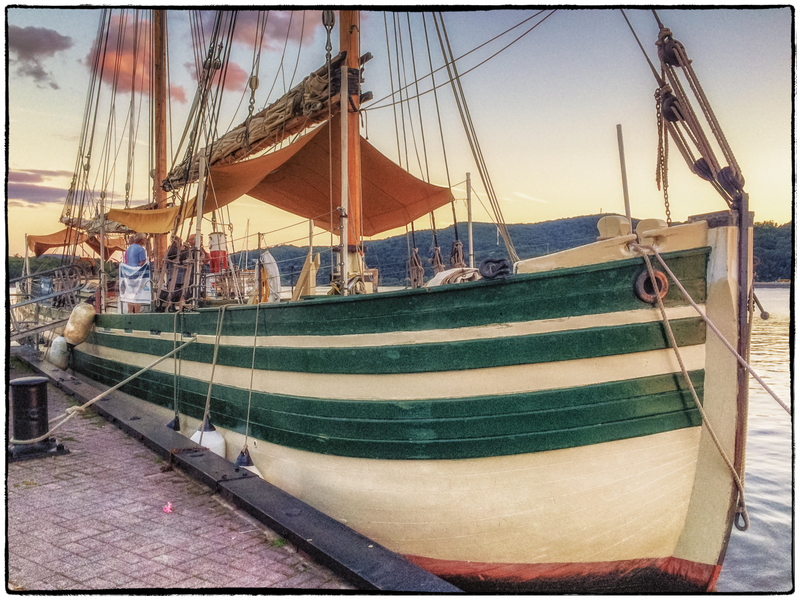 It was around 8:00 pm, the sun was going down over the Hudson Highlands and this picturesque boat was moored to the dock. What could be better. Well…I could have brought a camera with me (this was one of the rare occasions where I’d forgotten to bring a camera). Luckily my wife had her trusty iPhone 5s. This entry was posted in Landscapes, Things. Bookmark the permalink.